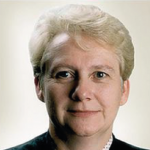 Beverley Tanner is a consultant with the Brussels office of Steptoe & Johnson. Beverley has been working with the members of our international trade team since 1996. She had previously worked for HMRC in every aspect of the Department’s business including VAT, Excise, Customs and investigation in both the Investigation Division and VAT Office Investigation Team. She was also a member of the Solicitor’s office in HMRC as a specialist VAT and Duties Tribunal advocate, and represented HMRC on numerous occasions in the tribunal at venues nationwide.